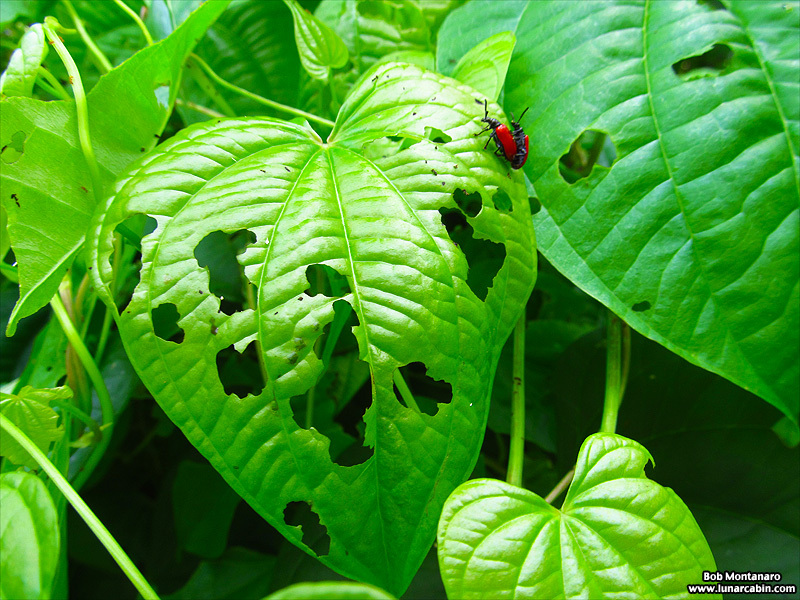 Photos of the air potato leaf-feeding beetle, Lilioceris cheni, brought from China to Florida in an attempt to control invasive air potato vines before they smother all of Florida, are seen here hard at work at the Oslo Riverfront Conservation Area (ORCA). 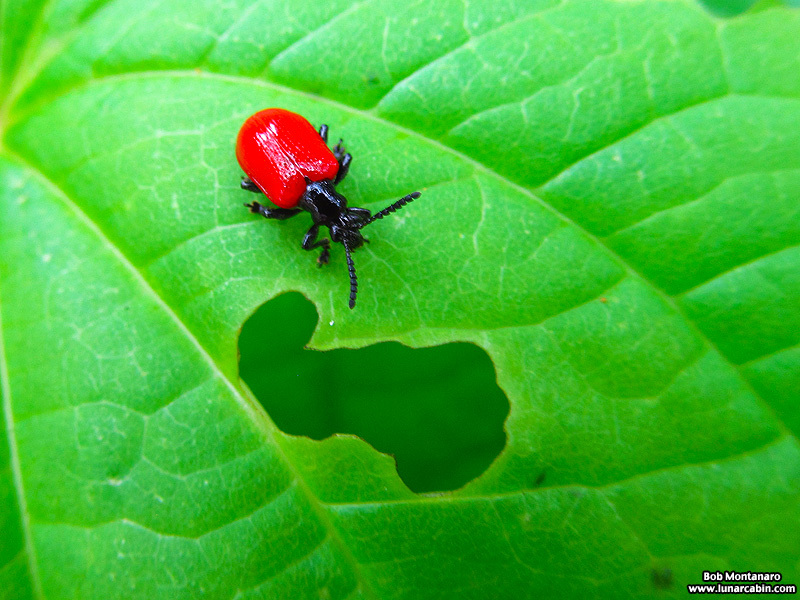 When the air potato plant was first brought to Florida from Asia and Africa, it had no natural predators so now, if the beetles take hold, things may change. 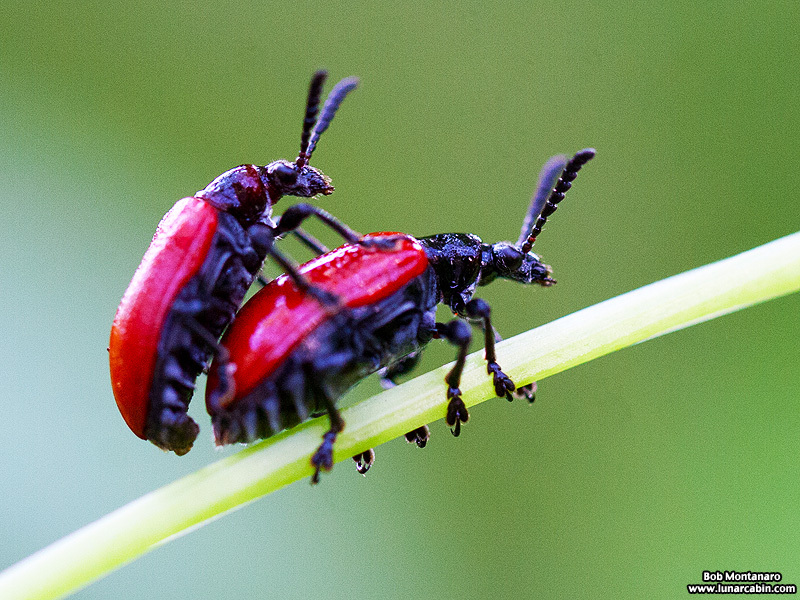 The beetles have started to reproduce naturally in their new environment. 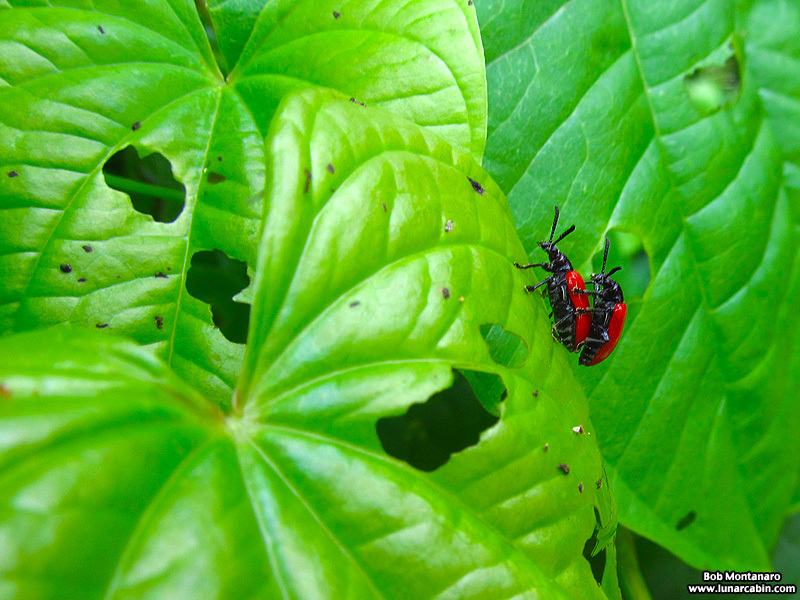 The beetles have been released over the past couple of years and are now mating and reproducing but they have a long way to go before they make a dent in the number of air potato vines at ORCA. 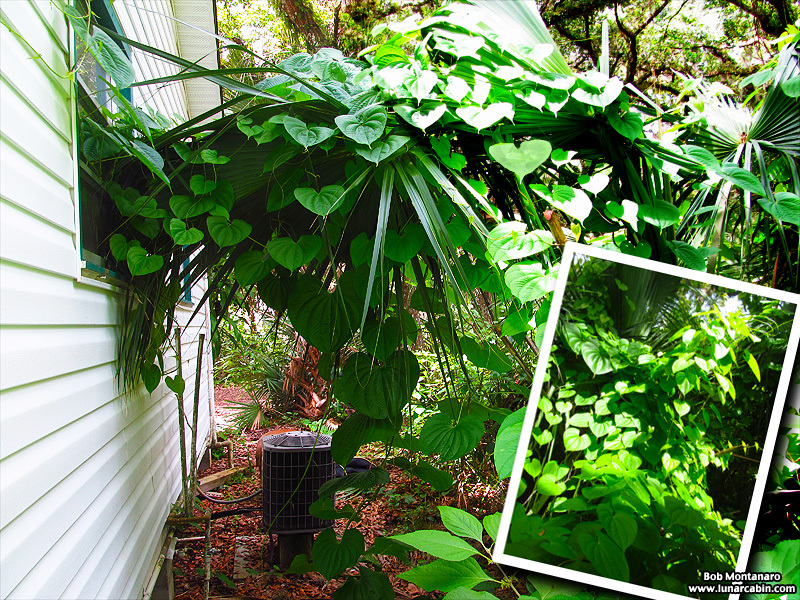 An image from outside the ORCA office shows an air potato plant on the verge of attacking the building. Why is it called an air potato? Because is produces a giant bulbil that hangs off the vine and looks remarkably like a potato – though not very edible. Learn more at the ORCA web site.